Lomas Del Mar Homes are located in the coastal community of Del Mar, California. Located on the east side of the freeway, the small and intimate community offers 47 homes located on a single street called "Camino Cantaras Street." The location is really ideal and is within walking distance to the Flower Hill mall and the Del Mar race track. All of the homes feature three to four bedrooms with an average 2,100 square feet of living space. The homes rarely come on the market due to the prime location and small number of homes in this neighborhood. The Lomas Del Mar community is under a homeowners association with monthly dues that average $155.00 a month. The dues include common area ground maintenance. This is an upscale community with homes priced in the $1,000,000 price point. 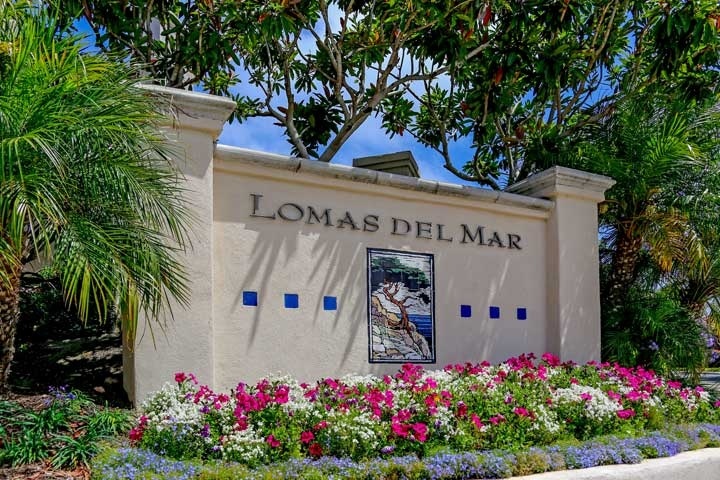 Below all of the current available Lomas Del Mar Homes for sale in Del Mar. We also showcase all the available Lomas Del Mar rental homes below as well if available.